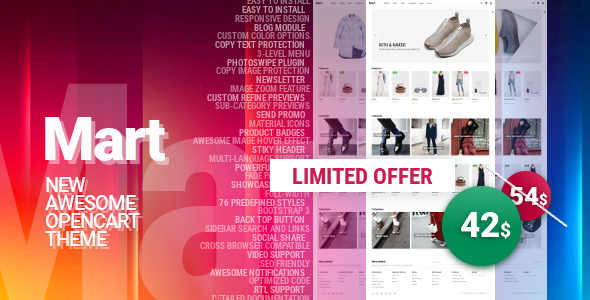 Has it ever happened to you that you were looking for OpenCart template and constantly stumbled across templates with outdated design, slow loading speed or missing functionality? Good news there! The search is over. 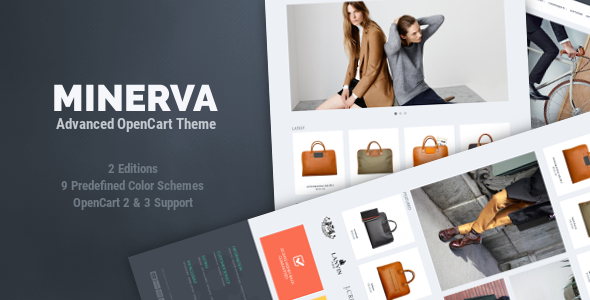 The Mart is responsive OpenCart theme with RTL support which meets the latest web design trends and coding standards, taking into account the needs of modern ecommerce business. The attention to details, thoughtful design and excellent performance make website pleasant to use. It will bring your online store to a new professional level and make your customers happy. During development we took care of everything, providing you with the most essential. Get the best and enjoy the unique experience! Demo images is for demo purpose only and not included into the theme package. Thank you so much for your interest in Mart theme. I hope you enjoy it!